The NFL released the 2019 regular-season schedule on Wednesday night, and each of the league&apos;s 32 teams did their best to creatively present their respective schedule on social media. Some were better than others. And the New Orleans Saints might still be cooking a way to get revenge on the Atlanta Falcons for their savage swipes. The Arizona Cardinals, of course, had their own video, but there was something a little...off. The Arizona Cardinals used the 10th overall pick of the 2018 draft on Josh Rosen, hoping the former UCLA star would be their quarterback of the future. 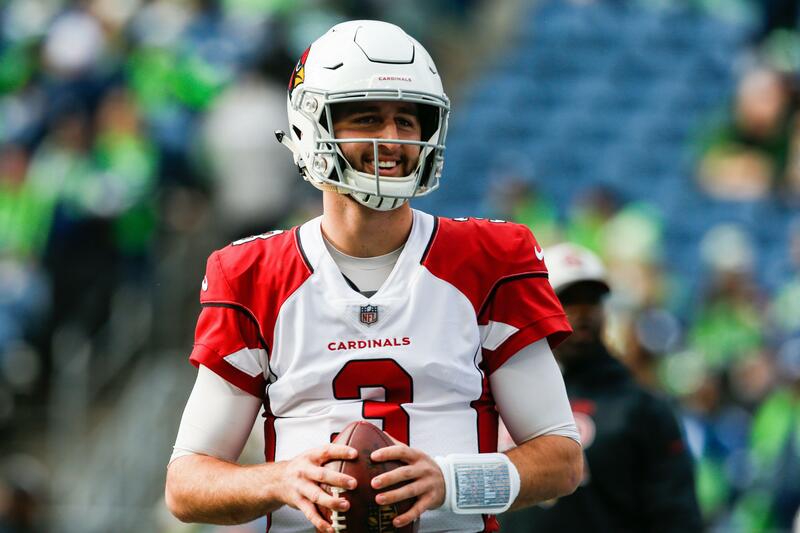 Rosen had some ups and downs during his first season, as many rookies do, but did nothing to dissuade the Cardinals from believing he could be their guy for years to come. Kyler Murray&apos;s decision to play football not baseball creates a new option for an Arizona team with a new coach and a new offensive system. The Arizona Cardinals hold the No. 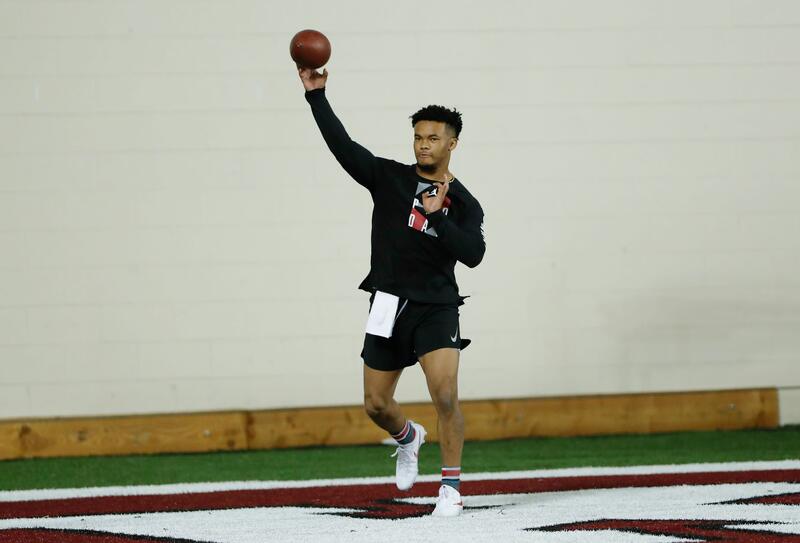 1 overall pick in next week&apos;s 2019 NFL Draft, and there&apos;s plenty of speculation they&apos;ll select reigning Heisman Trophy winner Kyler Murray. Back in 2005, the 49ers were in the same position, holding the first overall pick, with an obvious need for a quarterback. San Francisco&apos;s general manager at the time, Scot McCloughan, decided to use the selection on Alex Smith, and he has an opinion on the Cardinals&apos; current situation. Arizona Cardinals general manager Steve Keim discusses whether his team is open to drafting a quarterback in the 2019 NFL Draft. What happens if the Arizona Cardinals don&apos;t do the lead-pipe-lock thing of the 2019 NFL Draft, which is to use the first pick overall on Oklahoma quarterback Kyler Murray? It&apos;s 10 days before the first round kicks off, and we&apos;ve talked ourselves into being sure the Cardinals will take Murray and pair him with the coach who lusts after him, rookie coach Kliff Kingsbury. • I don&apos;t believe there is unanimity inside the Cardinals building today either to take Murray, trade down for a passel of picks to a Murray-loving team, or to sit at one and take an impact player for the defense like edge-rusher Nick Bosa. The Arizona Cardinals will draft Heisman Trophy-winning quarterback Kyler Murray with the No. 1 overall pick next week. Maybe not, Peter King speculates. The veteran NFL reporter dropped an interesting scenario in his "Football Morning in America" column Sunday night. After a season of playing cornerback under former head coach Steve Wilks, Budda Baker is expected to move back to free safety this season for the Arizona Cardinals. According to Kyle Odegard of the team&apos;s website, Baker is anticipating returning to the role he&apos;s most familiar in the back-end of the defense. “I&apos;m very excited about (that), because that&apos;s my position,” Baker said. Kyler Murray and Nick Bosa are among the 23 prospects who plan to attend the NFL draft this month in Nashville, Tennessee. Murray, the Heisman Trophy-winning quarterback from Oklahoma, could be selected No. overall by the Arizona Cardinals. 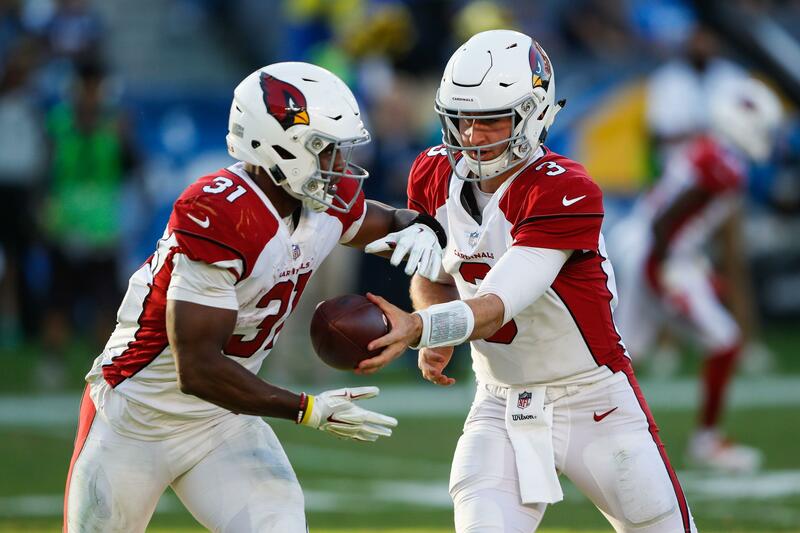 As the Arizona Cardinals get set to host quarterback Kyler Murray for a pre-draft visit, running back David Johnson wants current quarterback and possible trade chip Josh Rosen to ignore trade talks. Speaking to NBC Sports, Johnson said that he ignores the speculation involving Rosen, and has advised Rosen to do the same. Since the combine, when signs started to point to Murray being the Cardinals&apos; pick at No. 1 overall, there has been constant chatter about the team moving Rosen. If Roger Goodell calls out Kyler Murray as the Arizona Cardinals&apos; choice with the first pick in the 2019 NFL draft, Murray will be there to go on stage and give the NFL commissioner a hug. The NFL released the list of 23 players attending the draft on April 25. Murray&apos;s name is on it, along with Ohio State defensive end Nick Bosa and Alabama defensive lineman Quinnen Williams.